Earlier this year, NBC announced plans to air a new sitcom from Tina Fey and Robert Carlock — Unbreakable Kimmy Schmidt. The 13 episodes were expected to air sometime later this season. Now, the show won’t air on NBC at all but Netflix has picked up the series and renewed it for a second season of 13 episodes as well. It will debut in March. 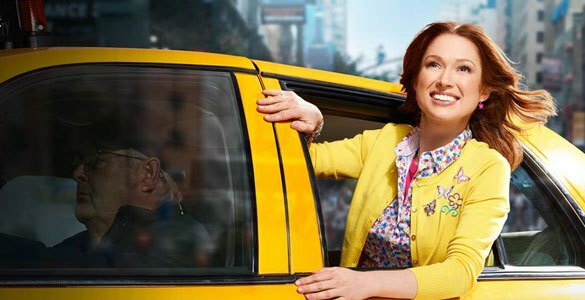 The series revolves around a Kimmy (Ellie Kemper), a woman who’s escaped from a doomsday cult and starts life over in New York. The rest of the cast includes Jane Krakowski, Tituss Burgess, Lauren Adams, Sara Chase, Sol Miranda and Carol Kane. What do you think? Will you check out Unbreakable Kimmy Schmidt? Does it matter to you that it’s now a netflix show and not on NBC? Unbreakable Kimmy Schmidt was sooo hilarious! I absolutely loved it and was full of sadness when I ran out of episodes to watch can’t wait for season two! NETFLIX RULES! Yeehaa! Yes finally get some of this SNL alumni baloney off network primetime. Even Fallon’s new lip-sync show will be on SPIKE. Hollywood spent some money on good writing from sources other than SNL-theirs is the same old song and dance routine that we stopped watching years ago. There are plenty of new good writers and production crew out there. Get off your keesters and go sign them up!!!! I watch a lot of TV, but I do not have time to watch anything on Netflix, nor will I pay for another subscription to a service that I would barely watch, since I already have satellite.